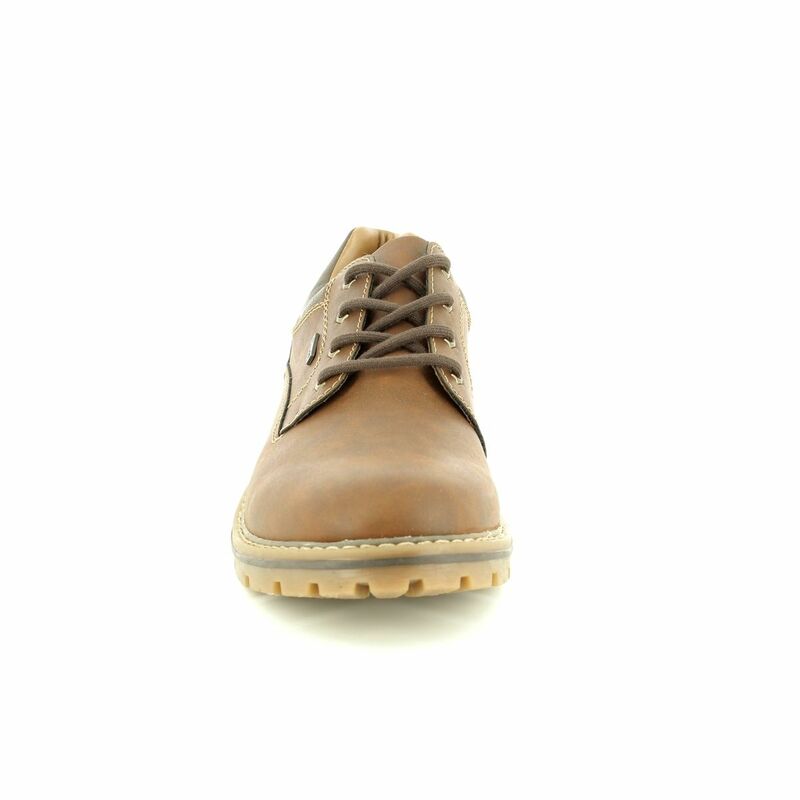 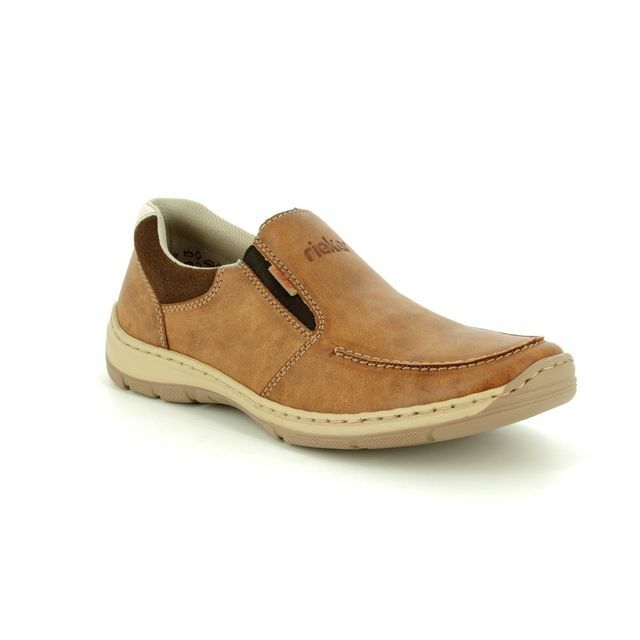 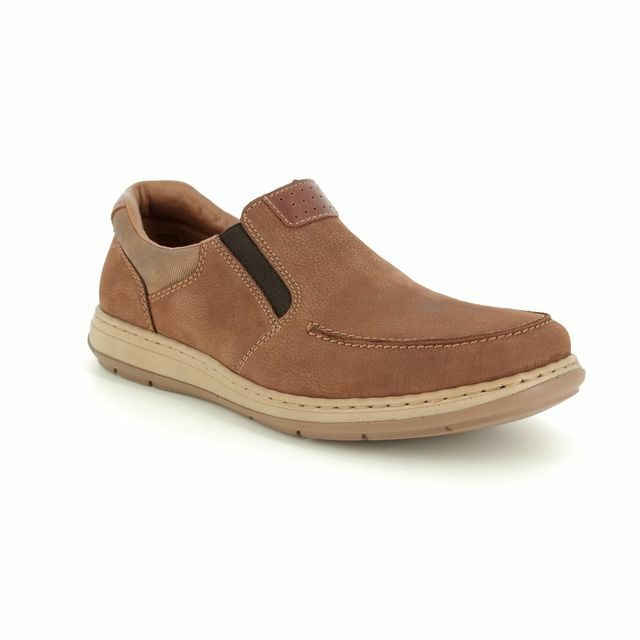 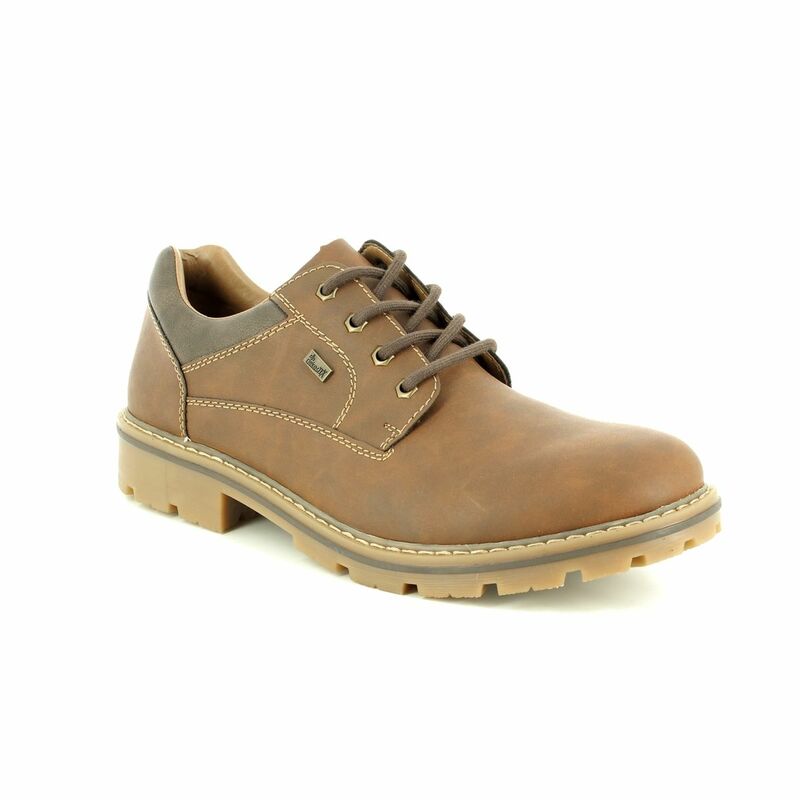 Rieker MITCH TEX (14020-26) tan men's lace up casual shoes are a smart yet practical shoe for everyday wear. 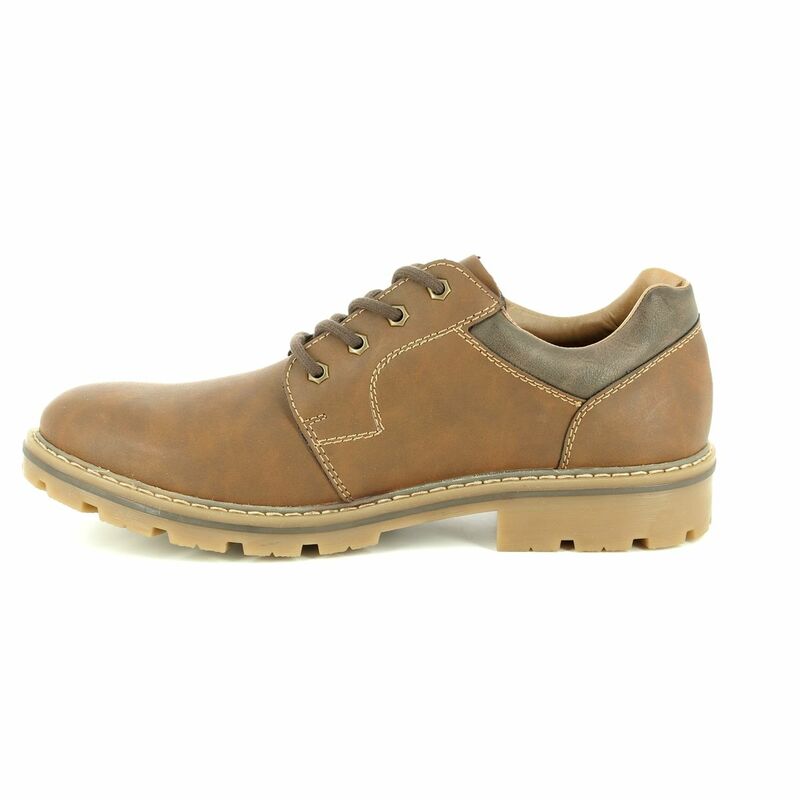 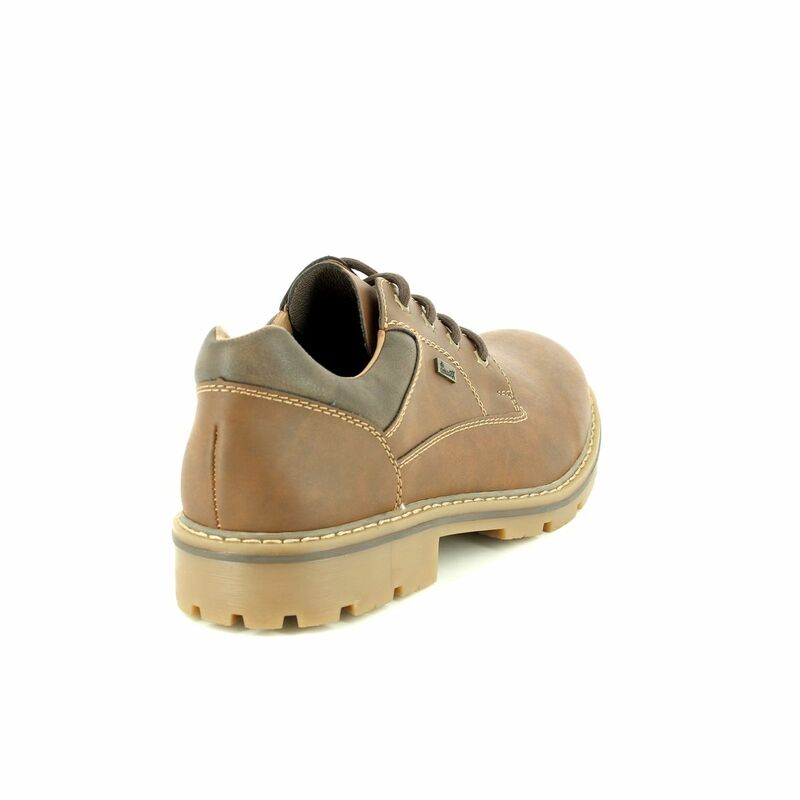 The tan man-made leather upper is finished with accentuated contrast stitching and dark brown leather accents at the heel and along the sole unit to give this men's chunky Derby shoe a traditional, smart feel. 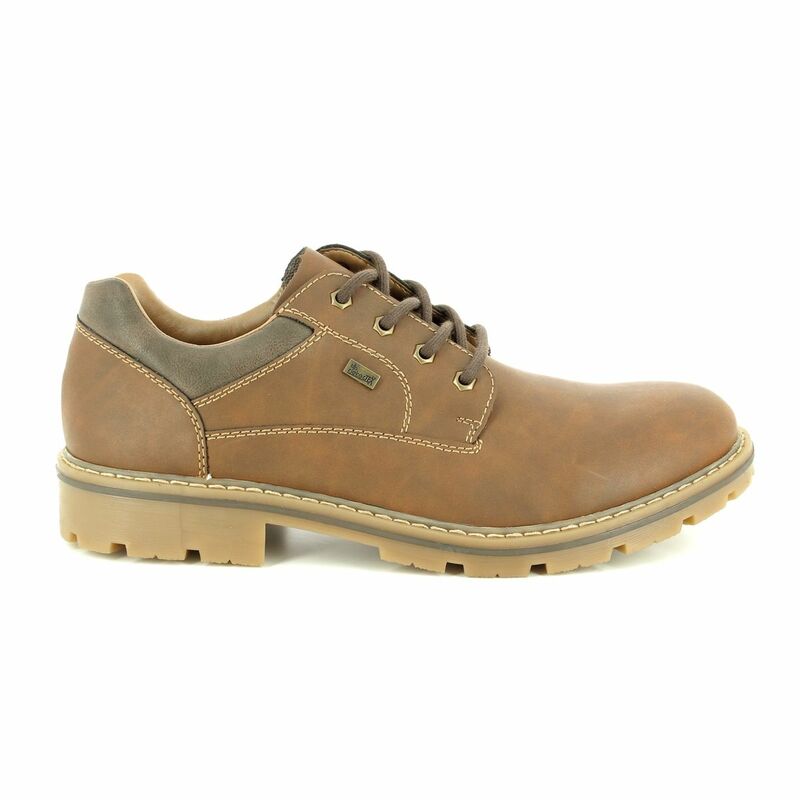 Featuring a waterproof RiekerTEX membrane and a rugged grip outsole, these shoes are ideal for keeping sure-footing during the wet autumn and winter months. 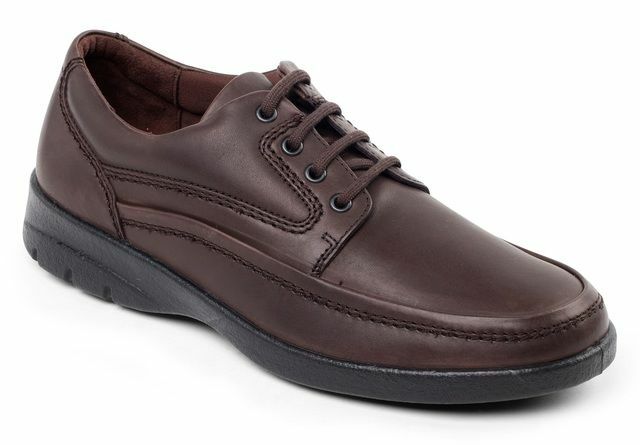 The dark brown lacing and metal eyelet closure adjusts easily for a secure fit, while the leather-coated cushioned insole and padded ankle collar guarantee comfort all day. 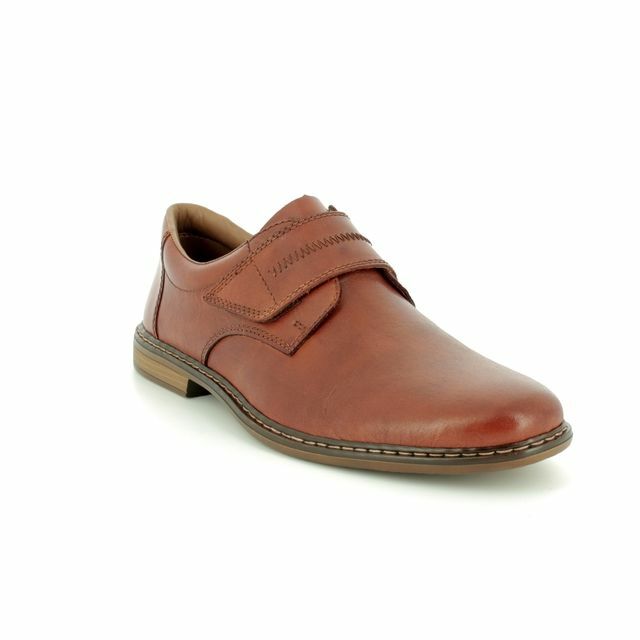 Also available in dark brown (17710-25). 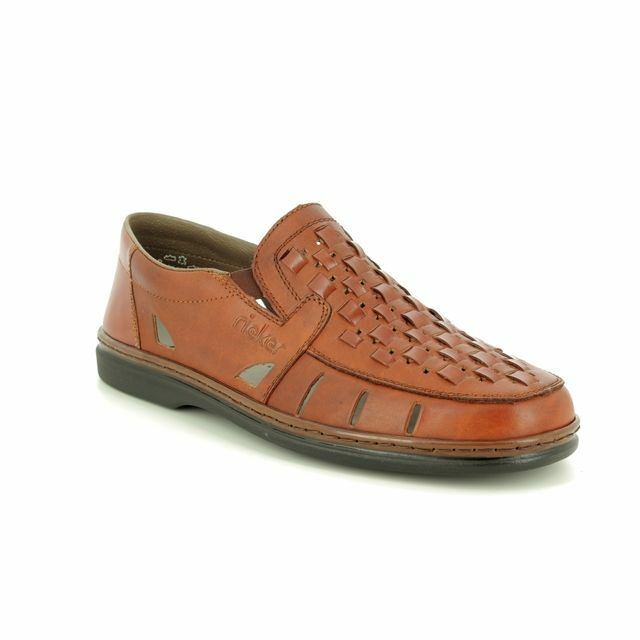 Begg Shoes & Bags are an official stockist of Rieker shoes and bags; view our full collection online or visit us in store.